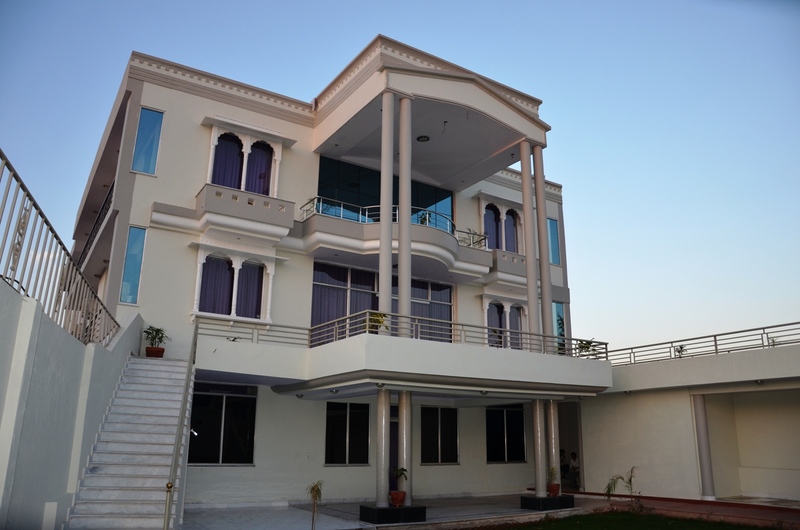 Hotel Myo Grand Ranthambore is located amidst the lush green forest; hotel can be found easily on the Ranthambore Road which is in proximity of the Ranthambore National Park in the valley of Aravalis. This is the best place to stay and it offers excellent services with wildlife theme. Hotel provides first class modern facilities for your comfortable stay amongst the wild lush green surroundings. Hotel Myo Grand is pioneer in hospitality service provider and offers a unique stay with wildlife experience, and varied colors of nature. There is swimming pool beside the lawn where other activities take place like bonfire, barbeque and culture programmed. Besides to other traditional amenities, there is a conference hall in the hotel for business center. Hotel has amicable and helpful team; all are perfect the respective field. You can make sure for your pleasant and memorable holidays during your stay. There are well appointed air conditions 16 Super Deluxe & 04 Suite Rooms with modern amenities in Hotel Myo Grand Ranthambhore. All rooms are furnished with attached bathroom, hot and cold water, LCD television, mini bar, tea and coffee maker, writing table, hair dryer, complimentary toiletries and all other essential things that you required. All room gives feel at home and luxuries of a king. Hotel Myo Grand Ranthambhore offers multi cuisine restaurant with bar. You can relish the eclectic taste from Indian, western and Chinese food. On your vacation at Ranthambore you can make its most unforgettable experience with luxurious and comfortable stay.